Under 48 hours till Launch! 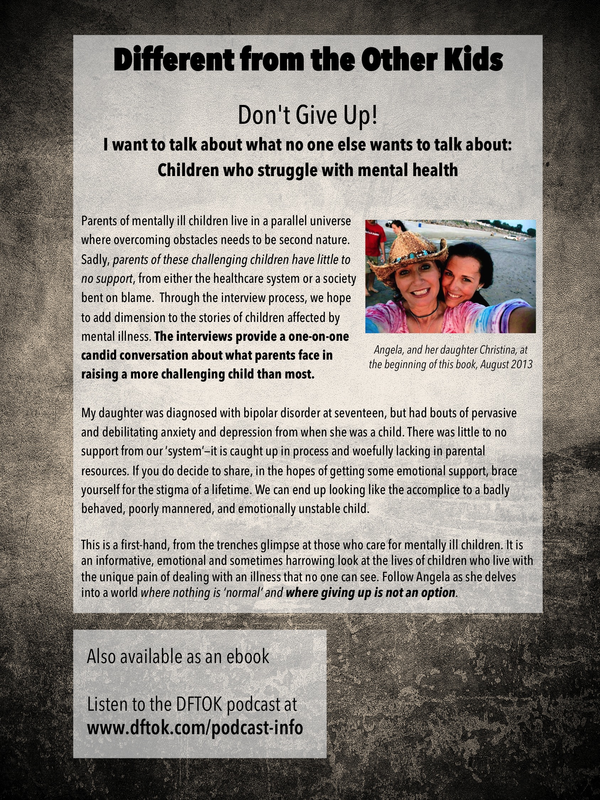 We’re getting really excited about Different from the Other Kids – A Book of Interviews for Parents of Challenging Children being released on Friday! Check out another peek at the book! Let us know what you think. Hello everyone! 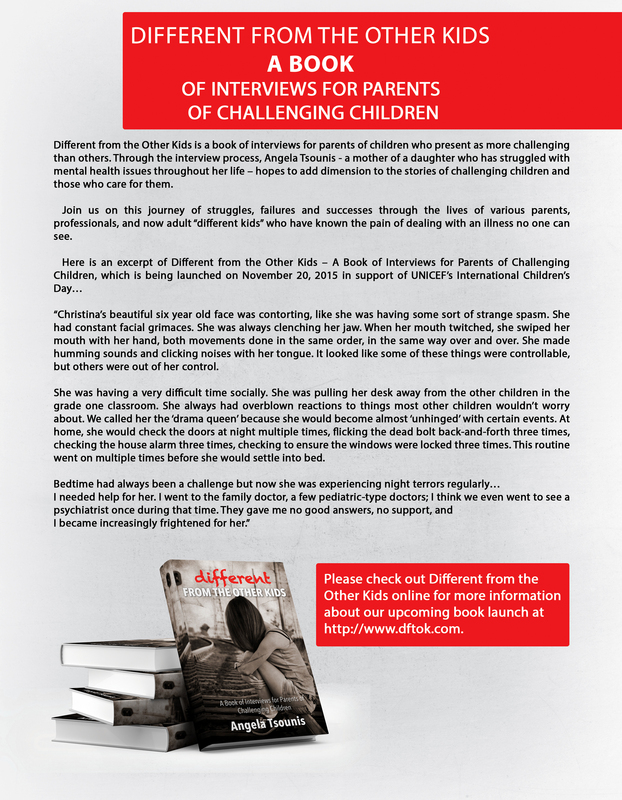 We have now less than a full week till Different from the Other Kids – A Book of Interviews for Parents of Challenging Children launches in Canada and the United States. In anticipation of the upcoming release, check out an excerpt from the introduction of Different from the Other Kids. Let us know what you think! We will be releasing more peeks as we get closer to the launch date, so stay tuned! 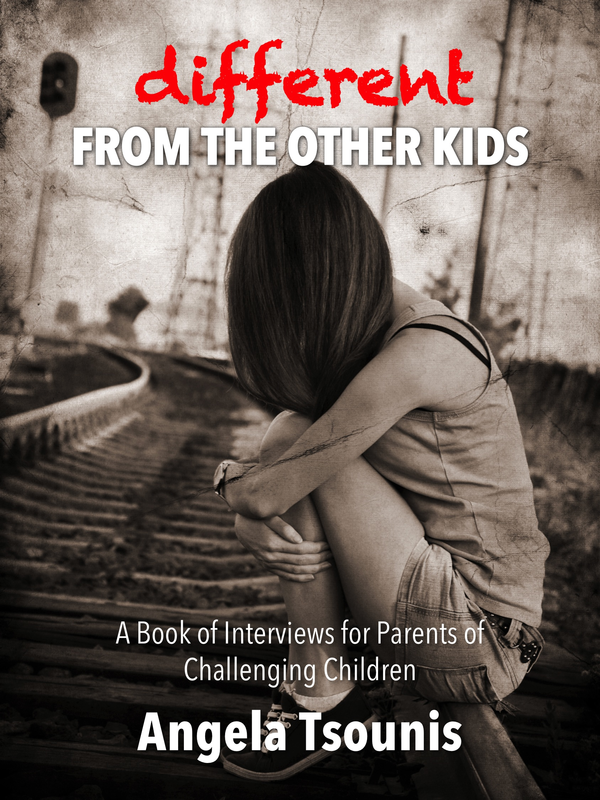 Different from the Other Kids – A Book of Interviews of Challenging Children launches November 20, 2015! Welcome to Different from the Other Kids – A Community of Shared Experience for Parents of Challenging Children. Please browse our website for more information about our creator, our mission, our podcast or our book.